No gods, no masters. 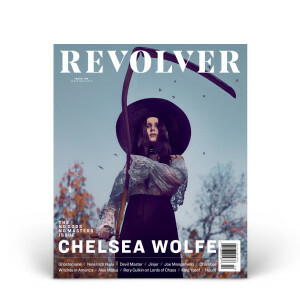 It’s the fiercely independent, beholden-to-no-one attitude embodied today in artists such as Chelsea Wolfe, who refuses to be put into boxes, or to be told what she should or should not do when it comes to her creative visions. “I just follow my instincts,” the singer-songwriter says. Now, after 2017’s crushing Hiss Spun, those instincts have led her into the wilderness and in a quieter, but no less heavy, direction. Order today and please note the cover pictured is the issue you will receive.